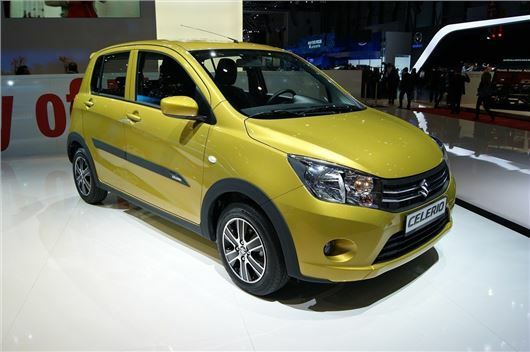 The Suzuki Celerio - the company's replacement for the Alto - aims to shake up the budget car market. The new five-door small hatchback is already being built in India by Maturi Suzuki, an Indian subsidiary of Suzuki, but Geneva saw the arrival of the improved European-specification model. Suzuki says it drastically improves on the outgoing car in all areas. Although the European Celerio looks the same as the Indian version already on sale there, Suzuki promises that our version features more comfort and safety kit. This is not just in line with European tastes, but also in light of the poor performance of many Indian market budget cars in recent NCAP testing. Suzuki said that the Celerio will 'feature an exceptionally roomy interior for a small car as low CO2 emissions continuing Suzuki’s reputation for pocket friendly motoring.' Like the Alto it will be built to be low priced so don't expect too much in the way of luxury although with the likes of Dacia now selling well in the UK, the Celerio will have to come well equipped for the money. Along with a cheap list price, running costs promise to be low and it's likely to get a version of the 1.0-litre three-cylinder engine from the Alto, which should mean excellent economy figures and a CO2 figure of around or less than 100g/km.